There is no better way to get in to the spirit of the season than wandering through a Christmas market. The smell of chestnuts, and twinkling fairy lights, mulled wine and plenty to delight the senses. Mid-winter breaks are a fantastic way to keep your spirits up when the temperature&apos;s low and fortunately P&O Ferries can take you to any of three countries on the continent that love a Christmas market just as much as we do. As the closest destination to England a quick trip to France is the most hassle free choice. As renowned cheese and wine exporters you&apos;ll be able to find some fine produce to stock up on for the festive season. The markets you&apos;ll want to consider are between Lille and Paris, but the closer to Germany you get the more teutonic the celebrations – if you fancy something a bit different then head east to Strasbourg. The main Christmas market is the closest you&apos;ll find to the port of Calais and you&apos;ll likely get everything you want out of a Christmas event here. The Place Rihour area transforms in to a real winter wonderland with chalets turned in to christmas cottage type shops and outside of each door is yet a different stall. The city of Lille itself is home to nearly 4000 shops. Lille is an historic city and you&apos;ll be able to look over it in all it&apos;s festive wonder by taking a ride in the 50ft Big Wheel that sticks out across the skyline. This market is open everyday in December except for Christmas Day. There are plenty of hotels or flats to use for your stay but it&apos;s best to book early as market draws a lot of custom. If you like your Christmas presents to be just a little more special than the average gift giver then take a trip to Caen. The Christmas market there specialises in craftmanship. For handmade goods you really don&apos;t need to look any further, there&apos;s also an international element so you&apos;re not limited to stock French figurines. Craftmanship isn&apos;t limited to carvings there is also a fantastic culinary element to this market. So pick up some gingerbread as you idle you&apos;re way through the Christmas crowd. The Caen market will offer you a truly authentic Christmas experience it focuses on the traditional and religious aspects of the holiday with 53 Christmas stalls selling the famous Santon figurines for Christmas mangers. Amsterdam is the centre for Christmas markets in the Netherlands. It hosts around 26 individual markets spread across the city so be sure to familiarise yourselves with the tram network. The most anticipated Christmas market happens on the 23rd December, called the Winter Market. This may be a little too close to the big day itself, travelling on Christmas Eve is not or the easily flustered, but then again this is the season of good will so a bit of a Christmas adventure will surely make it all the more special. The grandest market in Amsterdam is Albert Cuypstraat it promises a bustling and jovial affair where you can pick up everything from clothing and souvenirs to festive food, toys and just about anything else. Since nobody wants to be alone at this time of year a trip with your loved one to the city centre markets will give you so much more to do than just shop. They have ice rinks and stalls and fair rides for the kids too. The Bloemenmarkt or Flower market, will give an air of romance to your holiday, you can pick up Christmas trees there but we won&apos;t promise you&apos;ll be able to get it back home. We are sorry if that dissapoints you but there is the alternative of purchasing some excellent decorations for you tree back home. The Funky Xmas market is an offshoot of Amsterdam&apos;s Funky Sunday Markets, you&apos;ll be able to find it at the Westergasfabriek. This event is being held on the weekend of 22nd and 23rd of December, again worryingly close to Christmas day itself, if you haven&apos;t already done all of your shopping. This promises to be a brilliant place to add a little bit of quirk to the festive holiday. A free spirited and lively market crammed with colour and music as well as delicious food and objet d&apos;art to make your Christmas an unique one. 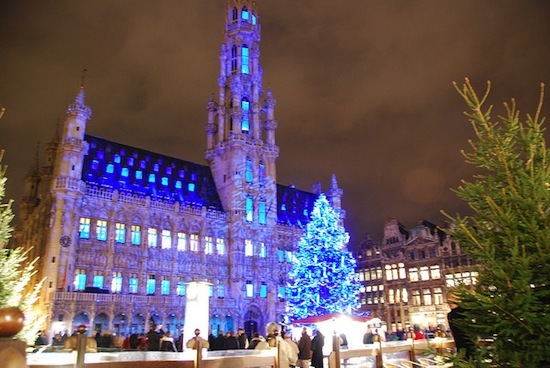 Belgium is one of the best places to visit over the holidays. 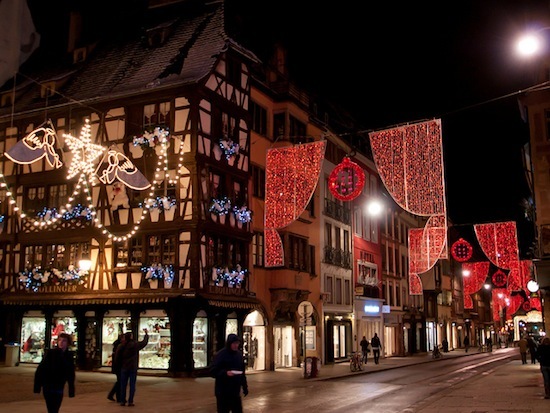 It&apos;s our opinion that during winter there are few countries with so many cities that get the Christmas season right. Cities such as Brussels and Bruges are made all the more enjoyable when wrapped up tight with a woolly scarf. You can wander for hours before stopping in at a cafe in the early evening for bite and something warm or just a large mug of ale. The Ghent Christmas market makes for a fantastic family pilgrimage. It begins on 11th December running everyday throughout the month to New Years Eve. There is a traditional element to it with Christmas carols providing the soundtrack through live performances by city choirs. Since you are in Belgium and ‘tis the season, you should prevail upon yourself to try the chocolates and waffles – if you need something to warm you then there will certainly be mulled wine and cider near at hand. If your kids are not so easily impressed by the winding cobbled streets then the atmosphere is ever changing with live jazz and folk performances as well as a bit of Christmas rock thrown in to the mix. 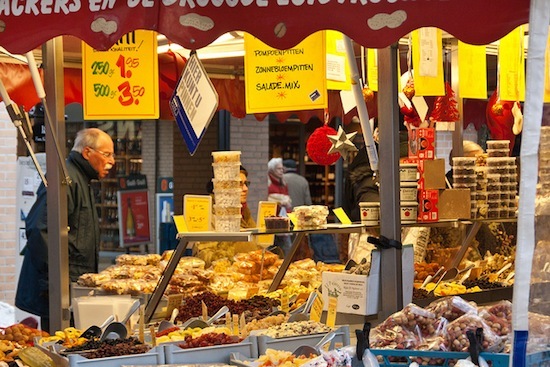 Bruges&apos; Christmas market held in the main market square is open from November 23rd to January 2nd. With canal routes, cobbled streets and age old architecture you&apos;d be hard pressed to find a city that gets more scenic throughout the Christmas period – especially when it snows. As well as the inevitable appearance of Santa Claus, Bruges also promises a large ice rink for some handheld skating. The market is host to a snow and ice sculpture festival, so iif you tire easily of shopping, there will be some astounding carvings for you to marvel at as you join the merry gathering of Christmas revellers in Bruges this year.